Tonight is Halloween, and it’s supposed to be the night when the fair folk rise up out of the hollow hills and ride through the lands of the living. If see them dancing and step into the ring to dance alongside them, you could be caught forever… There are many dangers for the unwary mortal stepping into the Otherworld, but less is said about those poor creatures who by chance step out of that world into ours. What if you didn’t want to come to the mortal world? What if it was an accident? Just two children strayed away from their homes, lured into a tunnel by the sound of pretty bells, only to awake in the blazing dawn to a land of strangers, fear and death. There have been many theories about the Green Children of Woolpit. Many of them have been prosaic, striving to make sense in today’s pragmatic, secular world of something inexplicable. In 1173 there was a battle just outside Bury St Edmunds during the Revolt between Henry II and his sons Henry, Richard and Geoffrey (complicated – don’t go there! Read Sharon Penman’s The Devil’s Brood if you want to find out more). Suffolk was heavily involved in this revolt after the Earl of Leicester landed at Walton Castle and persuaded Hugh Bigod, the Earl of Norfolk, to take up his cause. 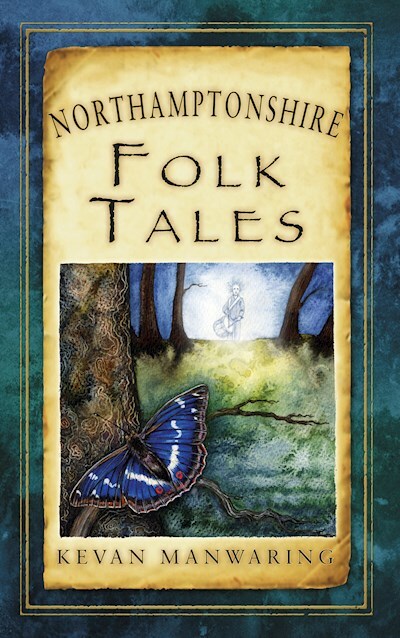 It causes two stories in Suffolk Folk Tales – A Strange and Terrible Wonder and Maude Carew – and may be the spark for the Green Children. The 12th century saw a surge of immigration into East Anglia from Flanders across the sea – welcomed in as the Jewish communities were starting the long process of victimisation and eventual banishment in the late 13th century. There was a settlement of Flemish fullers at Fornham St Martin, close to the battle site at Fornham St Genevieve – did the children flee, and get lost? Did they become sick as they wandered, and suffering from dietary deficiencies, was their skin tinged green by chlorosis? Was the Flemish they spoke unrecognisable to the villagers of Woolpit? Was the girl’s talk of St Martin’s Land a reference to their old village? So far, so good. But surely Richard de Calne would have understood Flemish and realised what had happened? This theory assumes an extremely parochial, limited existence for our medieval forebears. I don’t buy that someone living in Bardwell wouldn’t know what was going on in Fornham St Martin. I mean, it’s only about 9 miles away – you could easily walk there and back in a day! So where does that leave us? Are they the Babes in the Wood from the Norfolk story? Poisoned by arsenic by their wicked uncle, abandoned in Thetford Forest (scary – got lost there once myself! ), they wander into Woolpit. 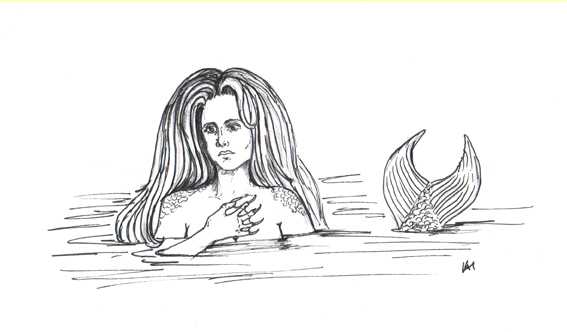 The older, stronger girl survives, but her younger brother is too weakened and dies. Maybe? This tale doesn’t appear until the printing of a broadside in 1595. 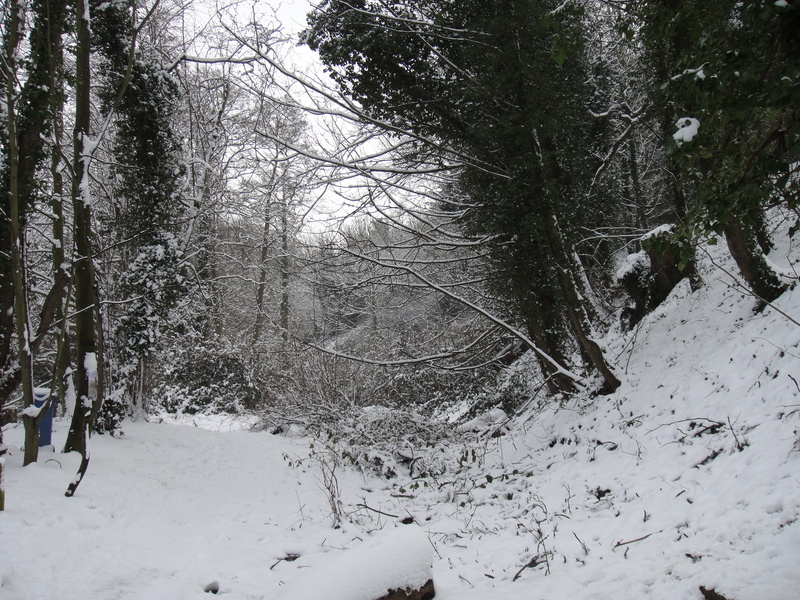 The most commonly cited wood for the tale is Wayland Wood, just south of Watton, and about 30 miles from Woolpit. Not impossible, but … in the story the children die. The wicked uncle is punished, but there’s no Disney happy ending. They die. Both of them. Alone in the forest. Putting the green children in context helps. 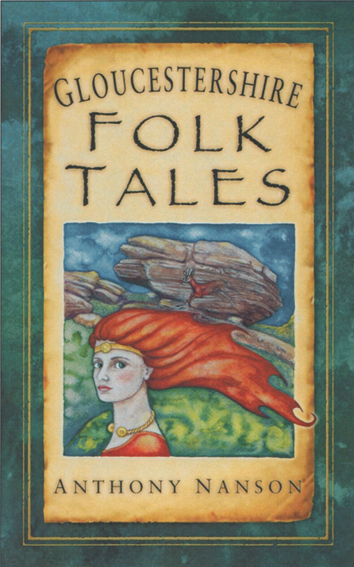 It’s a wonder tale, one of many collated by medieval writers, and particularly in the 12th and 13th centuries. Anything goes! These mirabilia, or marvels, were, perhaps, some of the earliest folklore collecting, predating people like John Aubrey and William Camden by centuries. But their reasons for putting in these tales to their accounts were different. We can’t assume that they were simply included because credulous monks and scholars believed them – though that may have been the case in some instances! There was a conscious searching for the hidden things of the world, that one day might be revealed and understood. The recording of marvels like the Green Children thus becomes a kind of scientific experiment, recorded for posterity when we might understand it better. 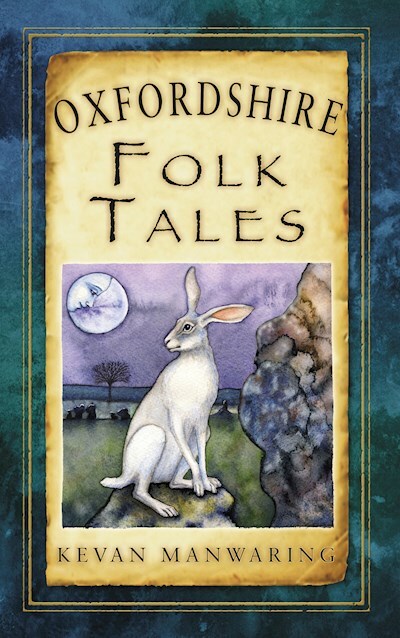 Or, often, there is a moral lesson within the stories – though it’s hard to pinpoint what that might be in this tale. At this time, this kind of tales was avidly lapped up by the aristocracy. 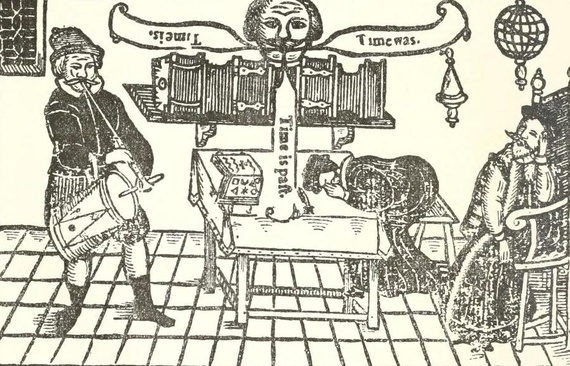 Courtly scholars such as Walter Map, Gervase of Tilbury and Gerald of Wales record many mirabilia and fantastica to thrill and chill their courtly audiences. Henry II and Henry the Young King were apparently keen on these stories. 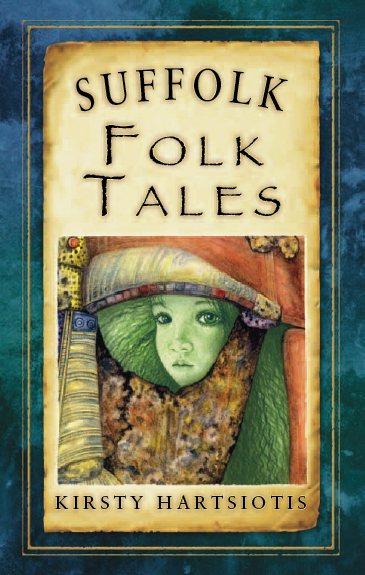 The stories included range from international folk tales to locally collected ones. Did our monkish scholars include similar tales to curry royal or aristocratic favour? But these stories give another possibility in our search for the ‘real’ green children – were they aliens? Alexander the Great saw alien spaceships at the Siege of Tyre in 329 BC, they allegedly ‘observed three soaring discs, which were described as “shining silvery shields, spitting fire around the rims,” … These “shields” were said to have annihilated a stone wall with a lightening-like beam weapon.’[i] In The King’s Mirror, a Norwegian example of these collections of tales from about 1250, an incident is recorded of ships in the sky over County Clare in the 10th century[ii]. In this case, one of the ‘aliens’ comes to earth to fix a problem with his anchor, but, unable to breathe our air, he dies. 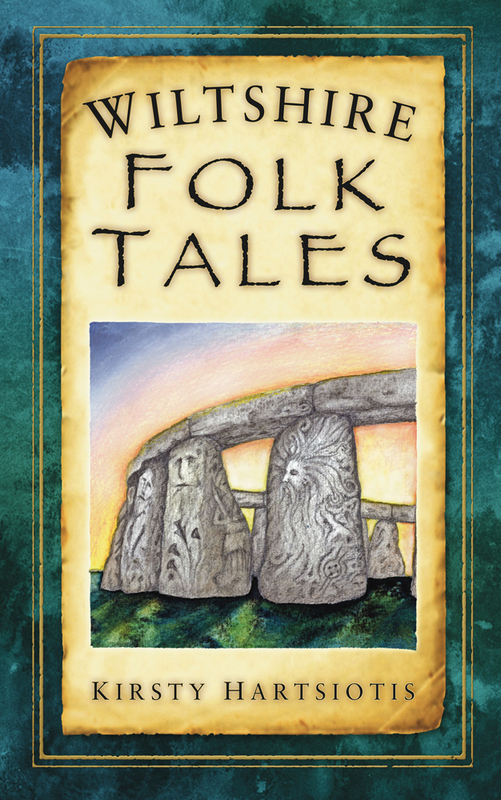 Gervase of Tilbury also records this tale, but sites it in England, and develops it further with the adventures of a Bristolian in the sky – and that story features in Anthony’s Gloucestershire Folk Tales…. A few months ago it was announced that Rædwald’s home had been found – exactly where it should be, at Rendlesham. It is always remarkable when archaeology follows ancient sources, especially when those ancient sources postdate the actual events by a good century. Perhaps the dig at Rendlesham hasn’t revealed a new Mycenae or Troy, but just like the discovery of those once thought to be legendary places, it adds credence to the stories of Rædwald and Edwin. Of course, we know these people existed as there was no reason for Bede to make people up in his history, just as we have no reason to invent Charles Darwin or Queen Victoria – and Edwin’s palace at Yeavering was found 65 years ago by aerial photography. But did Rædwald actually have anything to do with the village found at Rendlesham? Was this where the events recounted in Bede where Edwin takes refuge with the East Anglian king and is oh-so-nearly betrayed? Is this the place where Rædwald had his shrine to the Christian God and to ‘devils’ – probably Woden, from whom his family, the Wuffingas, claimed descent? Bede doesn’t say so – what a spoilsport! Bede talks of Rædwald’s royal vill, but not of Rendlesham. That comes later, when the mission of Cedd is taking place that results in the conversion of the East Saxon (Essex) king Swidhelm in the mid 7th century, about 40 years after Rædwald died. But the newly discovered settlement does date back to the early 7th century, when Raedwald was king. 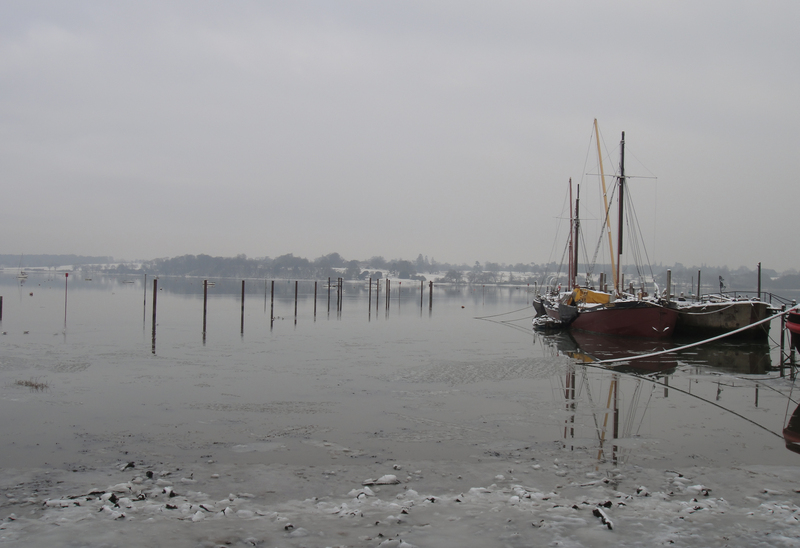 It is also close to St Gregory’s church, long thought to be the site of Rædwald’s famous altars, and to the all important river Deben that would have linked the settlement rapidly with the outside world – and also links the settlement to the burial grounds at Sutton Hoo. I’m a storyteller – so I would like to believe that this was Rædwald’s home. It’s probably fair to say that these days Rædwald tends to get more press than most of the early Anglo Saxon kings, even outside of East Anglia. He is helped by ‘his’ costly burial and also by the high profile visitor attraction that is Sutton Hoo these days. But in East Anglia in the Wuffings have been well and truly embraced. From the Eastern Angles production in 1997 to the Wuffings Studio project in Bury, to Wuffings Wood near Flixton to even a twenty20 side the name is used with pride. Who were the Wuffings? No – they aren’t people volunteering on organic farms … that’s woofing. Don’t even think about dogging… Dr Sam Newton’s site http://www.wuffings.co.uk/ gives full details of the family and reveals the exciting link with the poem Beowulf. We know a fair bit of what the East Anglians thought about their royal heritage through royal kinglists, that trace the kings back to the first person in the line. The first East Anglian king was Wehha, followed by the eponymous Wuffa, but before that, back in the old country, we discover a Hrothmund – the same name as the younger of Hrothgar’s sons in Beowulf. In the poem, the two sons are still boys, even though Hrothgar is an old man. Could the East Anglian royal family be related to the Danish king? Was Rædwald a descendent of Hrothgar – and with Rædwald all the East Anglian kings up to Edmund? After Beowulf had gone home to his own land, the land of the Geats, we learn that there is civil war in Hrothgar’s kingdom between the king and his son-in-law Ingeld. The old king and his nephew Hrothulf (Rolf!) defeat Ingeld, but shortly after Hrothgar dies. As Hrothulf is an adult, he takes the throne – but what happens to Hrothgar’s young sons? Hrethric is killed – but Wealtheow, Hrothgar’s widow, and her younger son escape. 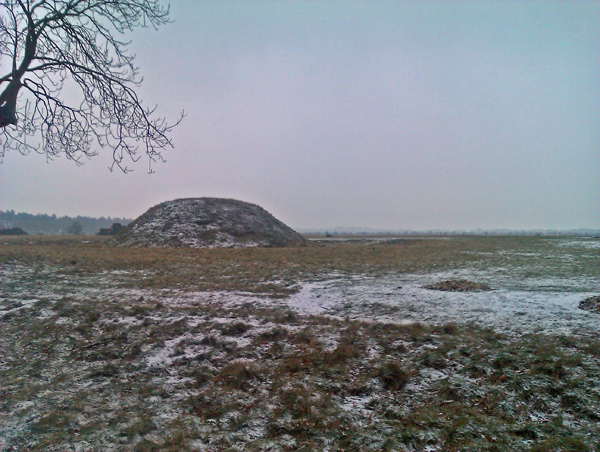 Sam Newton in his book The Origins of Beowulf: And the Pre-Viking Kingdom of East Anglia, 2004, explores this potential relationship in great detail, and suggests that not only did the East Anglian kings believe they were descended from this Danish royal line, but also that Beowulf may have been composed in East Anglia. It’s a glamorous notion – the young exiled prince fleeing with his mother and a group of trusted men and possibly women and children, and maybe crossing the North Sea to the place where everyone was going – Britain. There may have been a struggle to establish rule, or maybe there was a settlement on the other side of the sea as Hrothmund’s ‘grandson’ Wehha, the ‘father’ of Wuffa, is considered to be first king of East Anglia. Were these real people? We can never know, but the fact that Hrothulf and co. are mentioned not only in Beowulf but in many Scandinavian sagas suggests that they might well be based on real people. Going back a bit further in the king list we get to someone who definitely was a real person – but definitely wasn’t related in any way to Rædwald! The name Caser is used – we know him better as Julius Caesar. Now, Caesar didn’t have any children with Danish women that we know of, but that wouldn’t be important to the compilers of the kinglists. Rather, making a link to the Roman Empire implies that the Wuffings have a right to rule, and have imperial ambitions – as shown by Rædwald becoming the Bretwalda, or overlord, of the Anglo Saxons. It shows too the way that these Christianised Anglo Saxons looked outside their own indigenous culture to the wider world. But the East Anglian kinglist ends with the usual suspect – Woden, the head god of the Saxon pantheon. We know him better as the Scandinavian version, Odin, but they are much the same. Most of the kinglists we have (Essex is the most striking example) end with or include Woden. Wessex goes further – all the way back to Adam. Rather needlessly, one suspects, as we are all descended from him in the Christian view of the world, but definitely thorough! This then is Rædwald’s background – descended from kings, emperors (well, almost) and gods, he is declared as fit to rule by his ancestry, and his continued veneration of Woden in his temple is a form of ancestor worship that would be difficult to give up in a still pagan society that recognises his kingship through his descent from the god. If St Gregory’s is indeed the site the of Rædwald’s temple, then it makes a lot of sense to place it there both from the usual Christian point of view of supplanting the heathen idol with the ‘true’ god but also from the point of view of authority and lineage – by worshiping Christ in the same place that the ancestor Woden was venerated the East Anglian kings might be saying that there is a link between Christ and Woden, and thus a link between them and Christ, reinforcing their authority to rule. One hopes that there are more discoveries to made so that slowly we can join up our own fantasies about the kingship of Rædwald’s time with the reality of what lies beneath the ground at our feet. I’m using the inverted commas as we don’t truly know what relationship these men were to each other – early medieval kingship isn’t nearly as easy to follow as the later rule of primogeniture, and may rest rather on suitability – such as being an adult! – and suitability than on direct descent from the previous king.